Software development and marketing go hand in hand. We at Offshore Software Solutions are experienced and equipped with the skills and knowledge to cater to the needs of the customers in both the domains. We acknowledge that the present era is the era of automation and modern way of thinking. We are also aware that the innovative software codes and applications need to be marketed adequately to reach out to the maximum number of customers and achieve their potential. Emerging technologies and innovation are adapted and offered by Offshore Software Solutions with the inclusion of latest concepts and tools comprising of the Internet of Things (IoT), Big Data, Artificial Intelligence (AI), Augmented Reality (AR), Machine Learning, Cloud Computing, and likewise. Internet of Things is a technology that provides an inter-connection of varied devices, gadgets, and technologies on a single platform to achieve a common goal. The technology is used at OFFSHORE SOFTWARE SOLUTIONS to build smart systems and applications to enhance automation for the customers. It is bundled with other technologies, such as Big Data and AI to enrich the features of the application. OFFSHORE SOFTWARE SOLUTIONS is capable of providing its customers with the data services and operations to manage, store, and handle massive data and information sets. We are equipped with the Big Data tools, such as Apache Hadoop, Apache Storm, HPCC, Qubole Data, Statwing, Casandra, CouchDB, Pentaho, Cloudera, and Flink. Our resources have skills and experience on these tools to process huge datasets of our customers and streamline the data operations. These tools also provide advanced data analytics and flexibility in data processing. Cloud services offered by us enable our customers to connect to their business from any location and at any hour of the day. Collaboration efficiency and business continuity are improved through hybrid cloud models, Software as a Service (SaaS) cloud, Platform as a Service (PaaS) cloud, Infrastructure as a Service (IaaS) cloud, and private cloud models. Industrial and operational automation is a high-on priority for the customers and we deliver the same through systems and applications developed using AI, AR, and Machine Learning concepts. AI is the branch of science that allows the creation of intelligent machines that work and behave like humans. Limited or no human intervention is needed for these machines to function. Our team includes algorithm specialists, technical experts, programmers, data scientists, and researchers to build AI applications. The tools that we use to build AI programs include Caffe, Api.ai, TensorFlow, Mahout, and OpenNN. Machine Learning is one of the primary applications of AI to allow the systems and machines to learn and improve on their own. The learning and experience are gained on the basis of the data sets that are fed in. Our team specializes in supervised and unsupervised machine learning algorithms along with semi-supervised and reinforced learning algorithms. AR is an emerging technology that provides a composite view by superimposing the computer-generated images on the user’s view. Interactive environment and experience of real-world scenarios are enabled through the technology. Our professionals use ARKit, Vuforia, ARLab, Wikitude, EasyAR, Maxst, Kudan, and XZIMG as some of the AR tools. The intersection of development skills and marketing skills is of high relevance for us. Our developers and technical resources have the marketing skills to explain the utility of the products to the customers. Our team of IT professionals, digital enthusiasts, and marketing resources are a bunch of passionate individuals and are skilled in cognitive computing, digital marketing, and semantic technology. We have set up a blog on our website to interact with our customers and make them aware of the latest technological services and solutions, expert system products, and innovative trends in the market. Our blog includes a rich library of the articles, blog posts, and customer case studies. 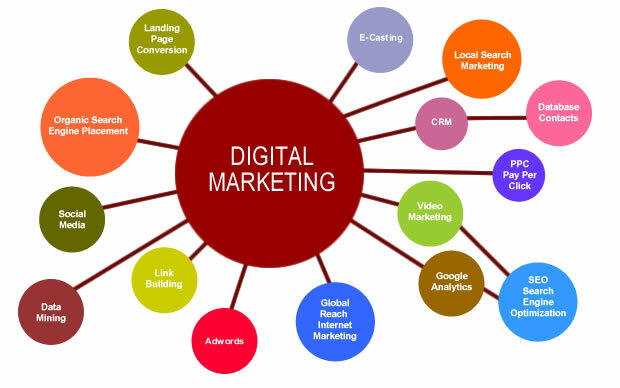 Digital marketing is one core area of services that we deal in. It includes the marketing of the products and services using digital platforms and technologies. Social media marketing, digital advertising, and display advertising are some of the marketing activities that we carry out for our customers in addition to the development of services and processes. We offer our clients with the packages that include the development tasks along with the marketing activities. We make sure that the products and services that we develop reach out to the clients to gain their attention. Our team is composed of multi-talented and multi-skilled resources that have the amalgamation of development and marketing skills. We have adopted the practice as the technical details and information can be best imparted by the technical resources and developers of the applications and systems. Our website showcases our clientele and provides a detailed explanation of the services and products offered by use. The team details are also included on the portal along with a link to read through the blog posts. Website analytics, programmatic advertising, search engine optimization, content curation, video hosting, website testing, email marketing, social media marketing, and affiliate marketing are some of our marketing services that are coupled with the development activities to enrich the overall customer experience.